By Mike Torpey on 2015-01-07 - Driving Force news editor and responsible for organising our daily output. He was staff motoring editor of the Liverpool Echo for 20 years. 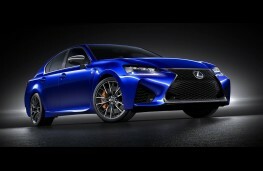 A NEW high performance saloon model took centre stage for Lexus at the Detroit Motor Show. 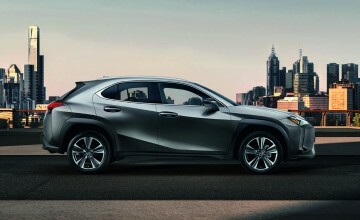 The GS F is the next addition to the Japanese brand's 'F' line, joining the recently launched F coupe, and combines a refined, four-door design with the speed and agility of a premium sports car. 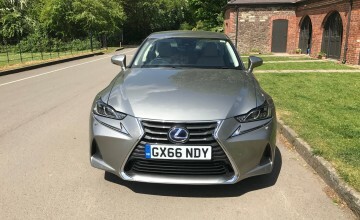 Though it shares the same platform as the Lexus GS, the GS F benefits from extensive enhancements throughout, including the engine, which features a naturally aspirated 5.0-litre V8 unit producing a whopping 467bhp. It will be matched to an eight-speed automatic gearbox with manual shifts. 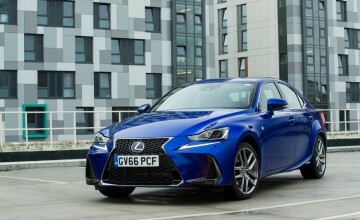 And the company's Torque Vectoring Differential, which debuted in the RC F, will be part of the GS F's standard specification, helping hone the car's handling. Its three different operating modes comprise the default Standard, for a balance of agility and firmness; Slalom, emphasising nimble steering response and agility; and Track for delivering stability in high-speed circuit driving. Lexus says the GS F's chassis will be reinforced and include an exclusive suspension package designed to optimise the car's ride and handling. The promise is that drivers will enjoy stable, smooth performance on the open road and rewarding handling when tackling more challenging routes or circuit driving.